Everybody loves to receive a piece of jewelry as a gift, especially on Valentine’s Day. It is something sentimental, especially when there is a diamond involved. The hard part about picking out a piece of jewelry is making sure the person will love it. Try matching the style of the piece to her personality to ensure you are getting the best results possible. The social, outgoing woman is always the life of the party. This is why a large and flashy piece of jewelry is perfect for her. Dangling necklaces or multi stone pieces are something to keep an eye out for. The crowd is always surrounding them so why not give them something extra special to look at. The adventurous woman is always looking for fun things both indoors and outdoors. These women still want to look stylish and good while constantly moving around. This means they need a piece of jewelry that is durable and won’t get ruined while pursuing various activities. Try looking at a bezel pendant, which says elegant and practical and the same time. She will be able to add sparkle to her look without losing the practical aspect of things. The elegant and classic woman always looks put together and spends time working on themselves. These women find a classic piece like a pendant a great item to own. It has just the right amount of sparkle without being too funky and loud. It is the perfect piece for a woman who prefers to lay low and get together with family and friends. The meticulous woman likes to keep her look as organized as the way she keeps her schedule. A matching set is always a cute idea. Women who are very organized tend to enjoy wearing matching sets of jewelry. They are very into matching their blouse and shoes perfectly. They like to be cohesive and are not into taking fashion risks. 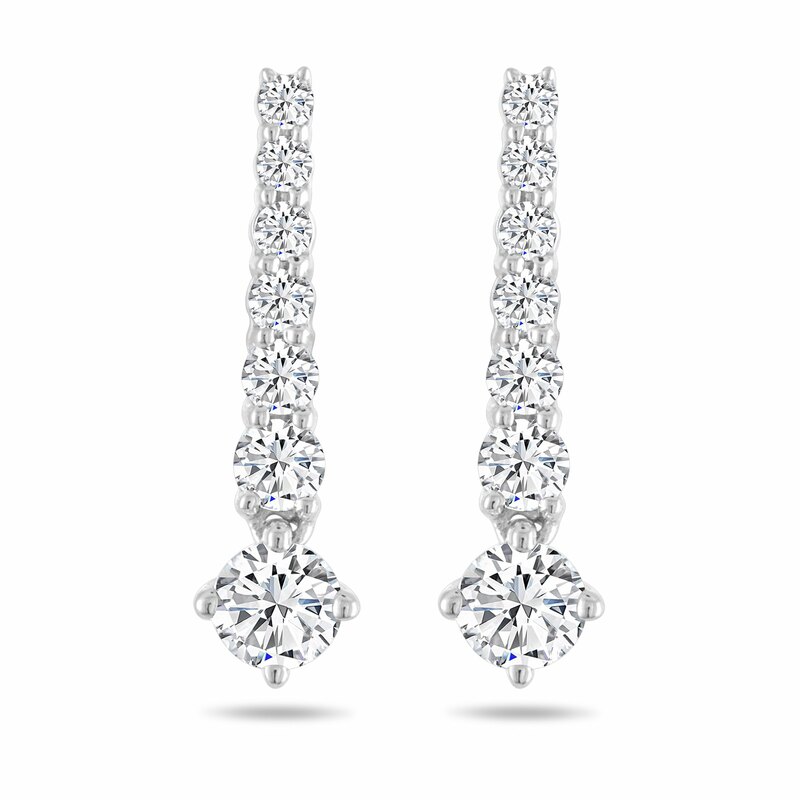 Purchasing a set of diamond studs and a matching pendant will definitely be a winner. A romantic woman enjoys expressing her love with the world. For those who just can’t get enough of the romantic aspect of things, a heart pendant is the perfect fit. By wearing a heart around their neck, they are showing the world how much love means to them. Gift giving is always a fun idea. This year make sure your gift is extra special by matching it to her personality. This will make the gift even more personal. The Leo Diamond® fashion collection features so many different pieces for so many different women. Give her something that will make her smile this year on Valentine’s Day.